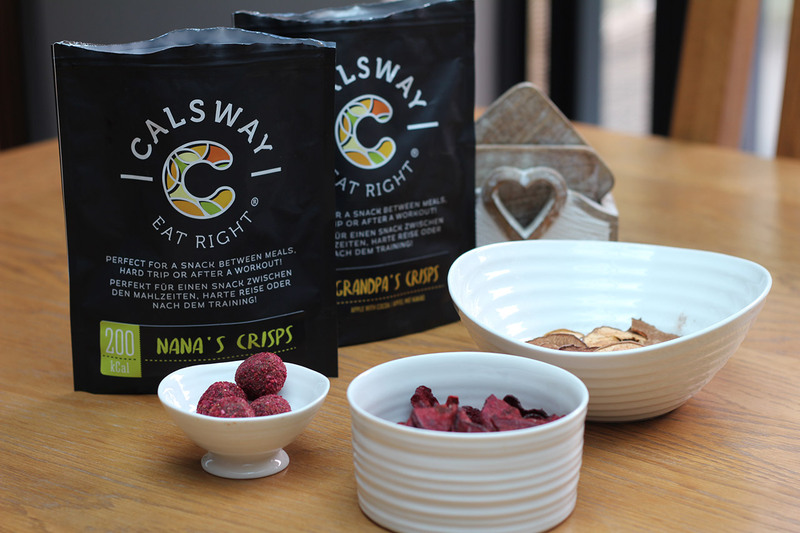 The Calsway concept is a simple one, create great tasting snacks that are packed according to calories and not weight, so those weight conscience snackers can keep tabs on what they eat without using crazy charts or apps. 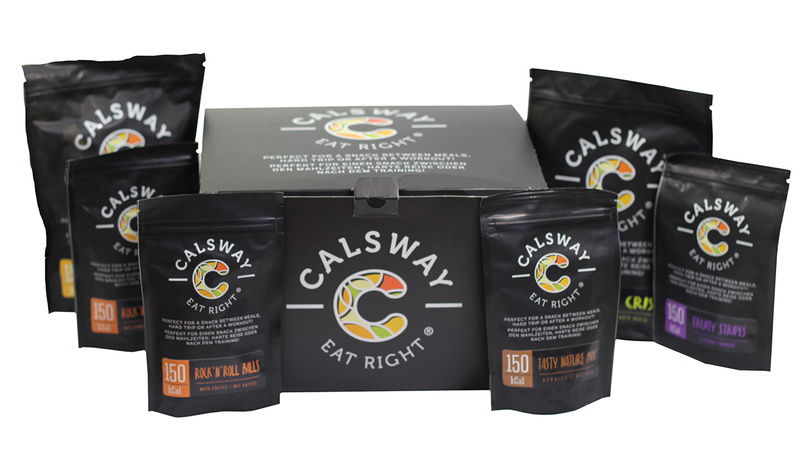 Calsway boasts that they hand-pick the highest quality products for your ‘in-between’ meals and mix them according to your needs – be it a protein or fiber rich diet or good carbs to sustain energy level. The special high-quality packaging is reassuringly heavy and keeps the snacks fresh without adding any preservatives or any requiring special storage conditions. 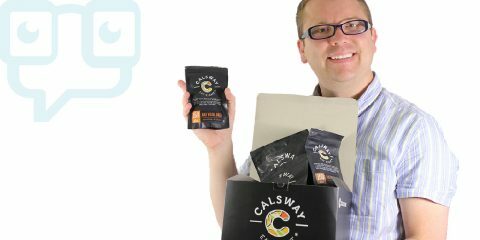 If you are a dieter or simply someone who is keen to keep an eye on their food intake, Calsway is for you. 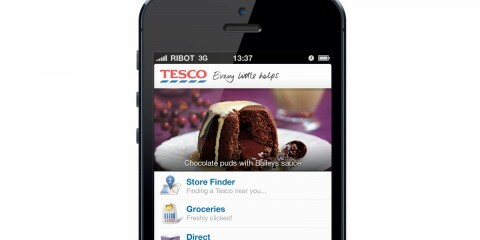 These snack packs make your life much easier – managing your ‘in-between’ meals and controlling calorie intake. It’s not just fruit and vegetables too. Should you want beef jerky or even catfish jerky, you can check out their other ranges that cover everything from the meat filled Carnivore pack to the happy vegan pack. 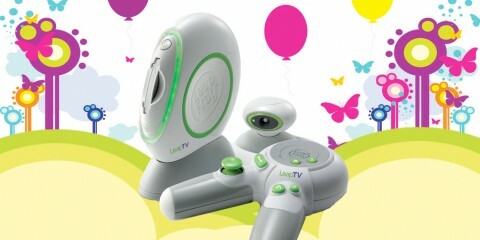 The 12 pack box sets range from £19.99 to £29.99. 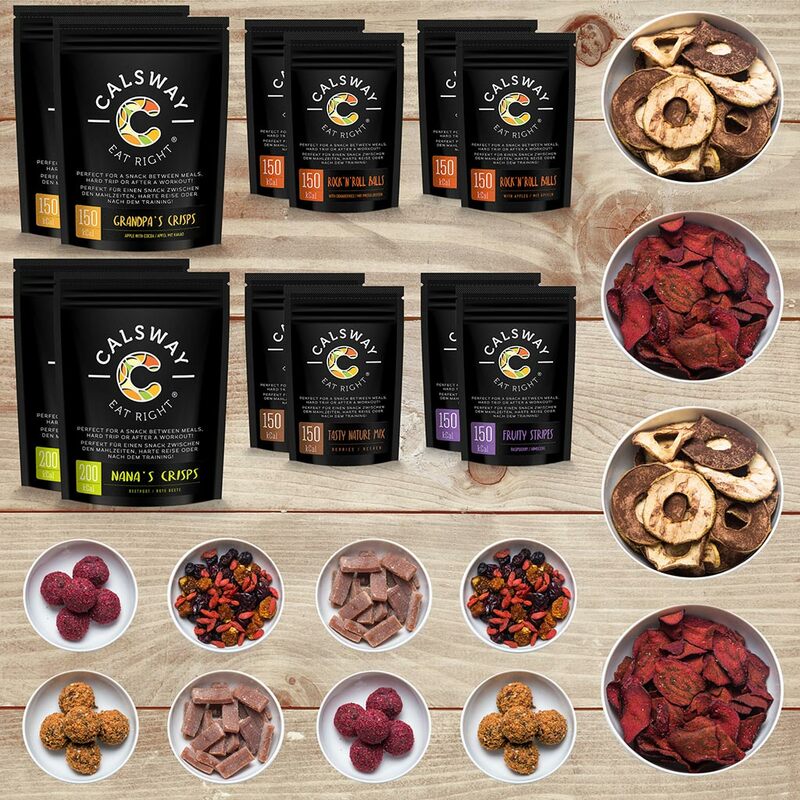 Every snack pack in the Calsway Kids Lunchbox Rescue box is carefully selected to support a healthy diet and replace usual sweetened snacks. Rock’n’roll Balls are 100% natural products made from dates, nuts and covered in sour and colourful crumbs of dried cranberries or apples. Apple Crisps are hand made from premium apples and carefully air-dried in low temperature and given a light dusting of cocoa. So if you are looking for a healthy replacement to all those sugary snacks then these handy lunch box size snack packs look and taste great.